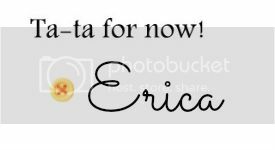 Actually Erica: Using Your Skincare Samples! 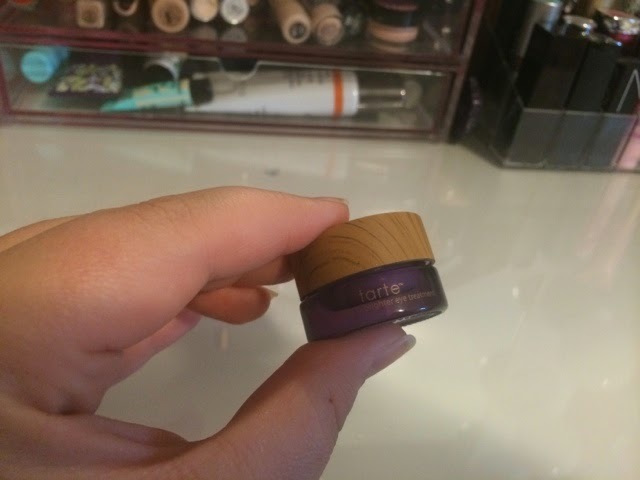 I have recently been trying to use up some of these products, because I hate for them to just keep piling up and not getting used. I pay for these subscription boxes but rarely do I actually use the stuff I get, and I hate that. So recently what I have been doing is taking one moisturizer and one eye cream and using them till they're completely gone, and then moving on to another. 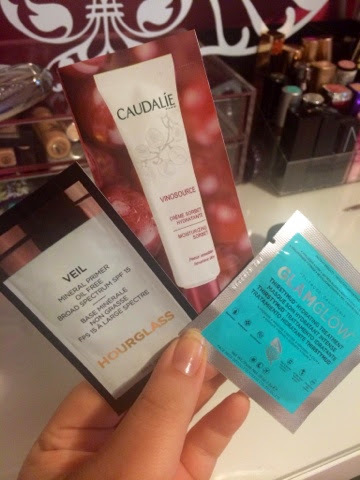 A problem that I was running in to was the messy little packets most of these products come in. 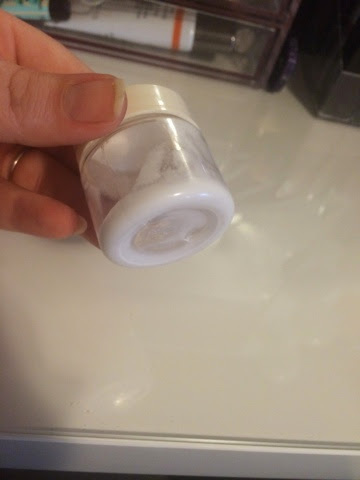 If you open up a packet and don't use all the product, it can leak out or dry up or whatever. I haaaaaate that. So, before what I was doing was opening a packet and just trying to use up the whole thing just to get rid of it. 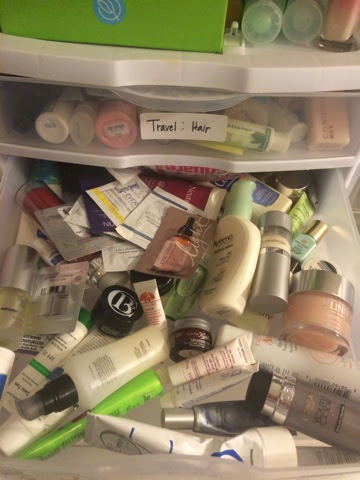 I would usually have enough moisturizer to put on my face, neck, decolletage, chest, shoulders, arms, hands, etc. etc. etc. Haha. 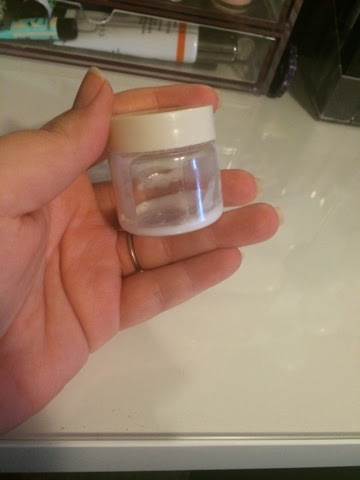 I decided there had to be a more economical way of using this stuff, so I got one of my empty travel containers (from an Aveda travel set I purchased yearssssss ago) and I designated it for my facial moisturizer samples. I simply open one of my packets and squirt it in this container, and then dispose of the messy packaging. I only put one packet at a time in here, and usually it will last me a week or longer. 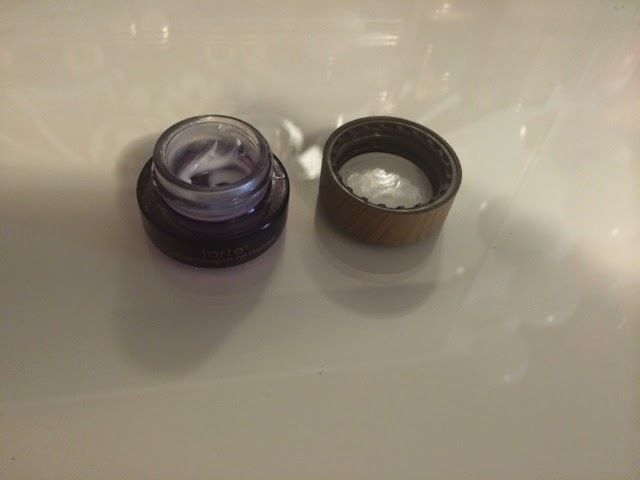 As for my eye creams, I am using an old Tarte eye cream container that I emptied a while back. I washed it with some soap and water and wiped it clean with some rubbing alcohol, then emptied a packet in it as well. 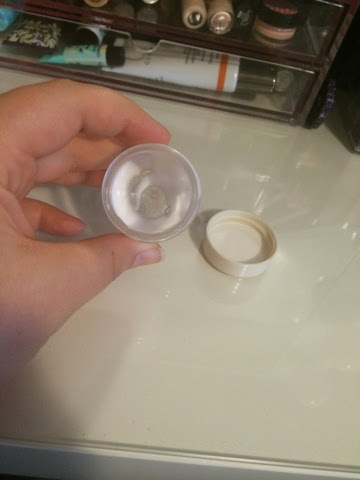 I'm currently using up a Benefit eye cream sample right now. It also feels quite nice! 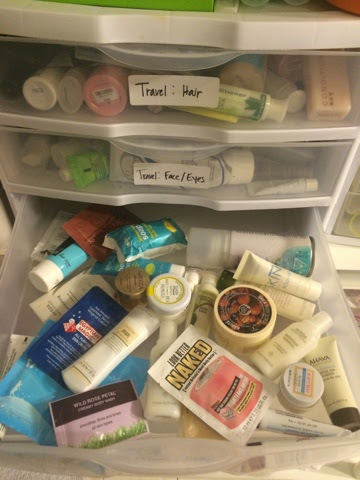 I think as long as I keep a couple of these products in rotation at all times, I should be able to use up some of this stuff I've accumulated. It's all high-end really nice stuff, and I hate to just give it away and waste it. Let me know how you guys use up/store all of your samples! Thanks for stopping by and have a great week everybody!